Easter is here! And, of course, it is the most significant event for marketers out there. One need not sell candies, gifts or sweets to upsurge their company’s profit in this holiday season. There are several other methods to promote the brand and its products. Especially, B2B companies feel left out during these promotional events. To help such organizations, we listed some of the creative ideas in this blog. Take a look at it. Sometimes you don’t have to organize any event. Instead, you can give a festive name for your promotion and draw more attention. Give some excellent discounts for the customers who purchase your products during this holiday season. It will improve the sales rate as well as ROI quickly. Send Easter related greeting cards or emails to your client database. You can also segregate the database based on countries and send it to only those customers who celebrate this fest. 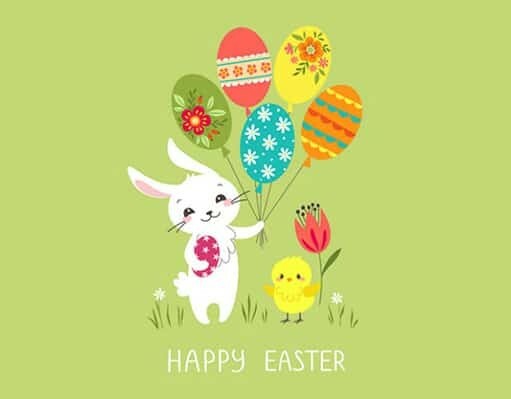 Additionally, businesses can include a unique code on every Easter email so that whoever opens it will be eligible for an exclusive gift or discount. One simplest way to promote your brand online is to participate in social media effectively. Just replace the covers on your Facebook, Twitter, G+ and other channels with colorful Easter images. In case you are hosting Easter events, you can take some photos and post them on social media handles. Also, post Easter greetings for your followers. Businesses can also include the links to the Easter products or discounts next to such photos with proper hashtags. The concept specified above will work for your website as well. A little extra flair to your site will put your customers in a spending mood which is good for your business! 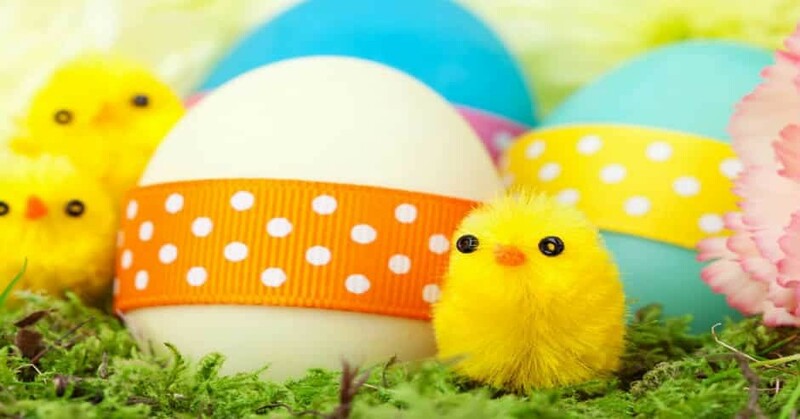 You can just add Easter themed photos or create egg hunting games on your website. Businesses can also maintain a separate offer page for these type of holiday events where viewers can directly grab their part of discount from it. Paid ads such as PPC are the best holiday marketing strategy that can help you target the right audience. So, set your budget, create the right ad, and see how well it performs. If you are willing to invest a little more, you can consider running different ads at the same time to identify which works well. Businesses can use this strategy on other days as well. It is the best way to promote your brand when you have no time or resources to plan an event of your own. So, sponsor any local event on Easter. You might find some associations or clubs nearby hosting an Easter event such as egg hunt or BBQ. Try to explore such events and see if you can sponsor it. If so, attend such events and give out flyers with your branding. Send goodie bag filled with branded treats to your VIP contacts on Easter. They can either be your business sponsors, partners, high-value prospects, loyal customers, business neighbors, or also your employees. These gestures will definitely bring a smile on their face. You can organize a photo contest to have more in-store interaction. 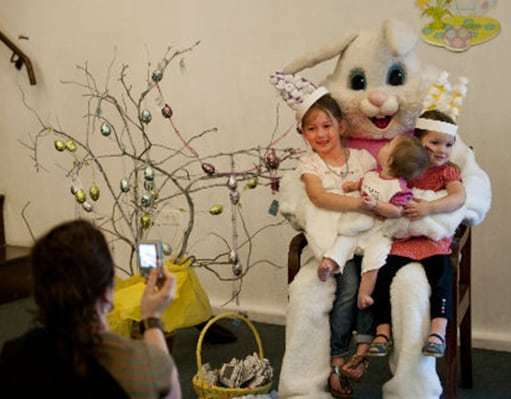 Businesses can encourage customers to take selfies with the company owner, employees, or their own family members with Easter outfit, photo frames, or background related to this fest. Later, you can pick the best three pictures and give away the prizes that suits your target market. These type of fun online contest will increase customer engagement within no time. Businesses can host Easter egg hunt in their store or any physical location. Promote such events on social media to get a large number of participants. Once you have enough number of players, you can ask them to find the hidden plastic Easter eggs with chocolates, gifts, and discount vouchers stuffed inside it. If your organization doesn’t have any physical location, you can host such events online. Hide some Easter egg graphic on your website and whoever finds it will win amazing gifts. It is one of the most straightforward game every B2B companies can organize either online or offline. Place some candy eggs in a box and ask the participants to count. Whoever tells the exact number or nearest count will receive cool prize or discounts on products/services. Firms can encourage kids of their customers to join these games where the player has to create an egg basket from scratch or decorate the baskets given for them. It is the funniest game to encourage the family members of the customers and thereby build a loyal customer base. This game will surely gain the attention of kids. Give them some colors and plastic eggs. Ask them to paint it to make it look beautiful. Later, pick the best-painted eggs and offer an exciting prize. Although kids aren’t the target market for B2B companies, you can organize such events to please their parents and lure them into buying from you. Organize some Easter-related quiz on your social media accounts or company website. Ask them to choose the correct answer and give away discounts. The critical point here is to make such games funny and visually appealing, so users don’t get bored in between. 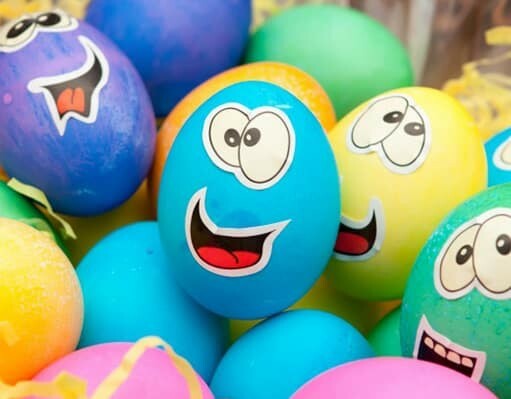 Now, we all know that Easter is not just a family-friendly holiday, but it also has the potential to boost the company’s profit with creativity. So, stop overlooking such seasons in your marketing calendar. Plan and start holiday campaigns a few weeks in advance. As it requires a couple of tweaks to your website, or time to execute social media campaign, it is always the best idea to keep your draft ready. This bit of fun and creative promotion can get your business extra sales with no much effort.